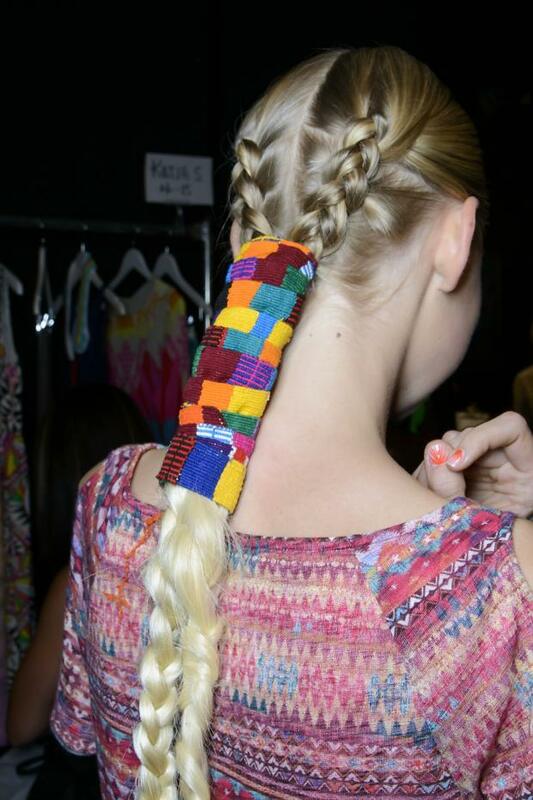 mara hoffman’s spring show was something a latin american xena, warrior princess (wait, isn’t she an amazon?) might have appreciated and immediately appropriated. i loved what ms. hoffman said regarding her show: “There’s a Rainbow Warrior moment happening here … This collection is about straight-up happiness. I know that sounds hippie-dippie, but it’s real.” everything in the collection reflected this spirit, from the hair to the patterns, to the patterns on the nails. the nails were done by manicurist honey for maybelline. 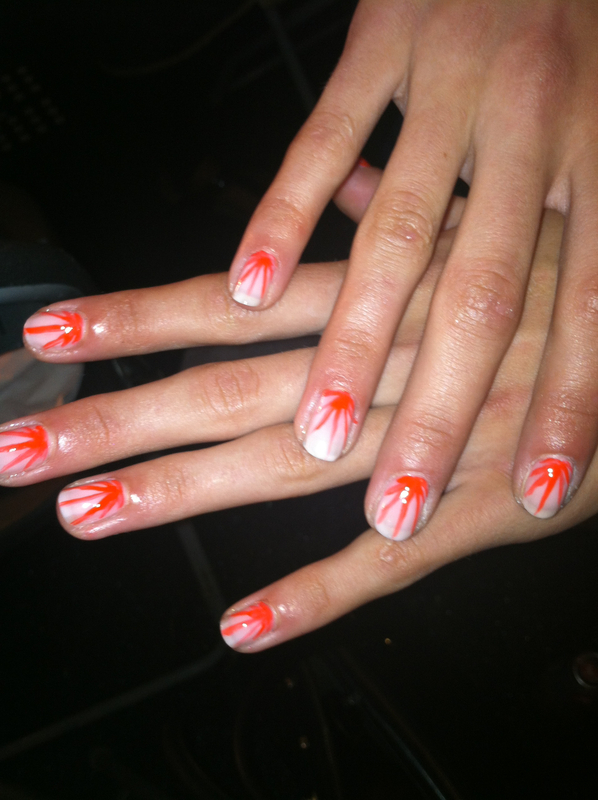 she created this sunburst effect using one coat of born with it followed by adding colorful rays with orange fix. (spoiler: orange fix will crop up again at suno.) 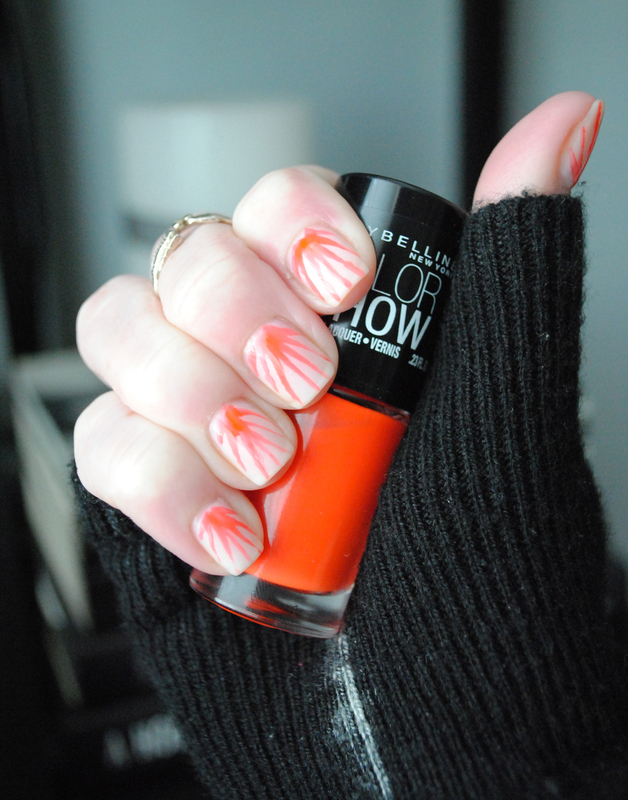 to recreate the look, i used one coat of revlon sheer sweetie, followed by a coat of chanel ballerina to make a base like born with it, then i used orange fix and a fine point nail art brush to make the sunburst effect. seal it in with a topcoat and you’re good to go, sunshine at your fingertips.